class="post-template-default single single-post postid-287325 single-format-standard group-blog masthead-fixed full-width singular wpb-js-composer js-comp-ver-5.7 vc_responsive"
Overall, there is optimism about the path forward and bipartisan support for sustaining and modernizing the agreement. Congressman Adrian Smith (R-NE) released the following statement today after returning from the latest round of NAFTA negotiations in Montreal, where he served on the congressional delegation meeting with negotiators, government officials, and business leaders. “I’m encouraged after our meetings in Montreal about the progress being made on NAFTA,” Smith said. 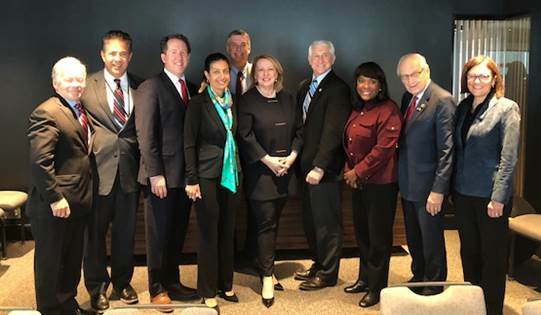 “Our delegation had productive discussions with senior government officials from both Canada and Mexico, including Ontario’s Minister of Economic Development and Mexico’s Undersecretary for Trade, as well as U.S. Trade Representative Robert Lighthizer, the Canadian American Business Council, Farmers for Free Trade, the U.S. Chamber, and the U.S. Consul General to Montreal. “Overall, there is optimism about the path forward and bipartisan support for sustaining and modernizing the agreement. In our meetings, I not only focused on the importance of NAFTA to U.S. agriculture but also to the numerous manufacturing and service jobs required to support ag. The successes achieved under this agreement make it clear it is in our country’s best economic interest to maintain these trade ties with our neighbors.